Old Mt. Zion Baptist Church began in the early 1900's as a one room wood frame building that was used as a community school during the week. The Church was rebuilt at its present location in 1968 with Bro. A. H. "Jake" Norris as the pastor. Bro. Jake, as he was fondly called, was the son of Bro. George Norris who preached at the former Church. Baptisms were held at Reedy Creek a few miles down the road past the church. Many new converts were baptized in that cold Reedy Creek water. In the mid 1990's a covered picnic area was built with the help of Bill and Raymond Leavins. At the dedication ceremony the building was named "The Leavins Building" in appreciation of their hard work and dedication. There have been a few additions to the church building over the years with the latest being the addition of three new Sunday school rooms, two bathrooms and a Pastor's Study at the front of the church. In back, the old Sunday school rooms were removed and that area has been turned into the fellowship hall. Homecoming is held the first Sunday in April every year with lunch after the service and special singing in the afternoon. In past years the congregation would enjoy having an "Old Fashion Day" where the men would dress up in their overalls and the women in their long dresses and bonnets. After the Sunday morning service everyone would enjoy dinner "on the grounds" at the picnic tables that use to be under the big oak tree on the right side of the church yard next to the camp grounds that is now the West Florida Wilderness Institute. 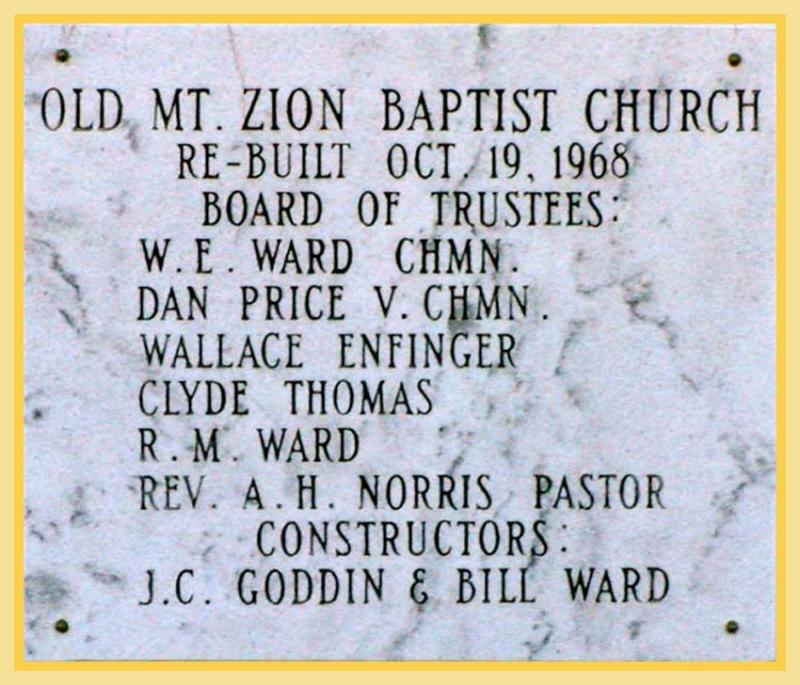 This is a brief history of Old Mount Zion Baptist Church. We would like you to come and join us as we make new memories here at Old Mount Zion Baptist Church as we serve the Lord together. Preaching the Word of God from the King James Bible and pointing all to Jesus. 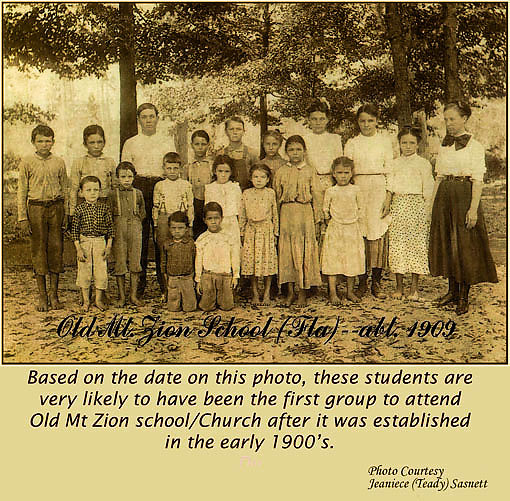 Copyright 2011 Old Mt Zion Baptist Church. All rights reserved.